Specialty water based primer & sealer, dries black. 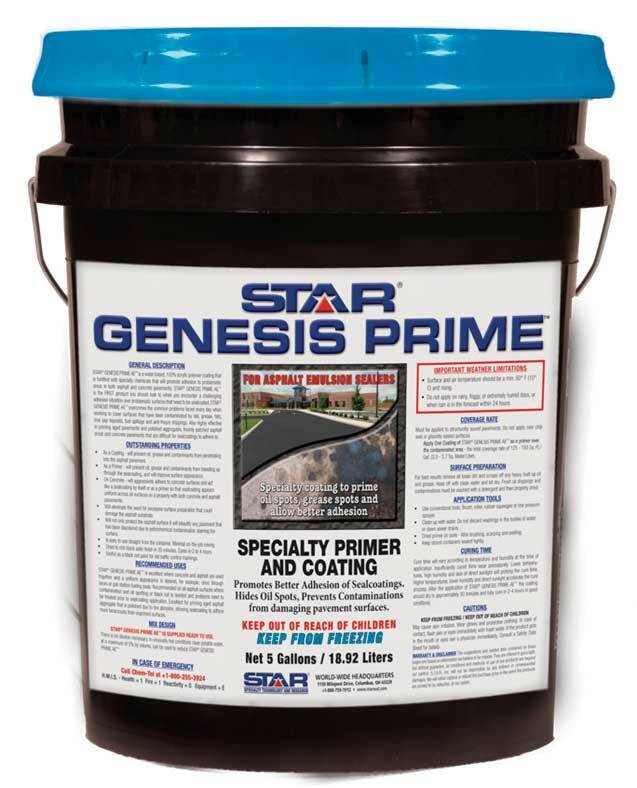 As a coating, Genesis Prime will prevent oil, grease and contaminants from penetrating into the asphalt pavement. As a primer, it will prevent oil, grease and contaminants from bleeding up through the seal coating, and will improve surface appearance.